Nearly thirty years ago this week, AC Milan made the first of three signings from the Netherlands that would come to reestablish the club as one of the giants of not only Italian, but European football. Stuck in the shadow of Juventus for much of the 1970's and 1980's, and even suffering through the humiliation of twice being relegated to Serie B as a result of their part in the Totonero scandal and then their struggles to recover from its effects, Milan were suddenly transformed by the arrival of entrepreneur Silvio Berlusconi in 1986. Within a year the flamboyant Berlusconi had signed Dutch star Ruud Gullit from PSV for a world record £6 million and he followed that up by landing Ajax's goalscorer supreme Marco van Basten. 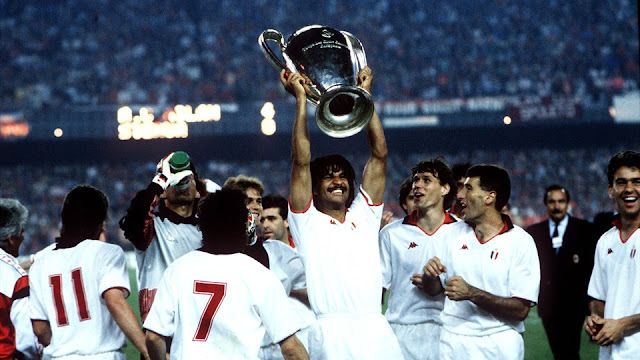 As part of a side that also included Italian internationals Paolo Maldini, Franco Baresi, Alessandro Costacurta and Roberto Donadoni, Milan stormed to the 1987-1988 Serie A title. That summer Milan signed a third Dutch international, Frank Rijkaard from Ajax, and the core of one of Italy's greatest ever sides had fully taken shape. 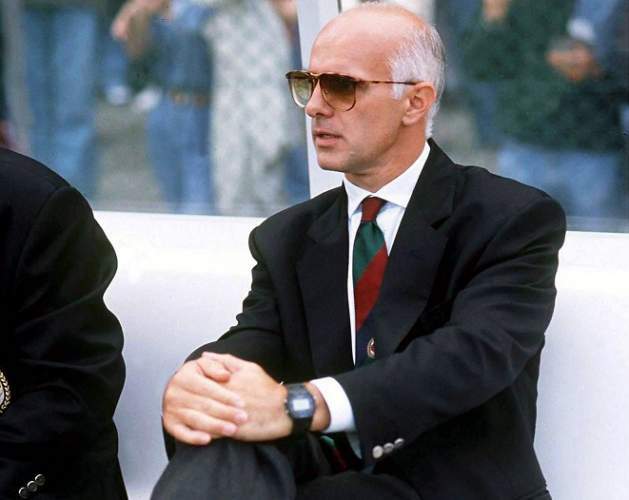 Under manager Arrigo Sacchi, Milan romped to the final of the 1989 European Cup with their grandest statement handed down via a 5-0 thrashing of Real Madrid's much vaunted "Vulture Cohort" in semi-final second leg at the San Siro. To claim their first European champions crown since 1969, Milan would dispatch Steaua Bucharest 4-0 at the Camp Nou in one of the most lopsided finals in the competition's history. Two goals apiece from Gullit and Van Basten saw off the Romanian champions, who were no slouches, having been European Cup semi-finalists the season before and European Cup winners as recently as 1986. But Milan were simply too good for them and in truth the final score could have been even more damning. The memorable part of this Milan side was that they swam against the tide of an Italian football culture that had been in place for decades. While most sides played in the safety first catenaccio style, Sacchi, an obsessed student of the Netherlands Total Football of the early 1970's, had his side press the opposition and not simply wait for counter attacking opportunities. The following year, a single goal from Rijkaard was enough to see off Benfica in the European Cup Final in Vienna. This great Milan side would run it's course as they were knocked out of the 1991 European Cup by Marseille in the quarter-finals and weakened further still when the hard driving Sacchi was let go that year following a dispute with Van Basten. The great Dutch striker himself would then see his career cruelly cut short following an injury in 1993. To this day though, Milan are still the last side to repeat as European champions. Even the great Barcelona sides of Pep Guardiola didn't manage that.